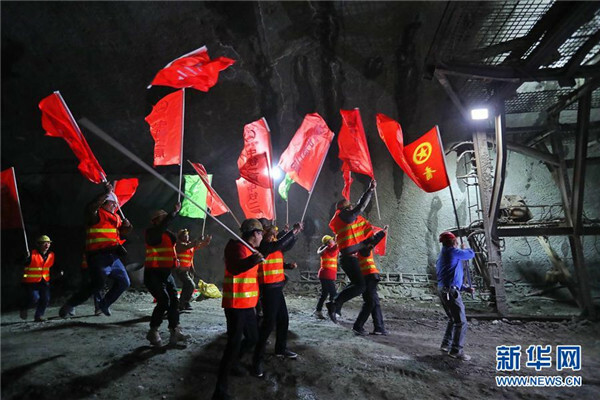 With the completion the Tiekui Mountain Tunnel on Feb 6, there are now a total of 183 tunnels along the Chengdu-Guiyang high-speed railway ready for use. The Chengdu-Guiyang high-speed rail is expected to be operational by the end of 2019. 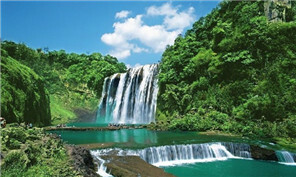 It will slash travel time between Guiyang, capital of Guizhou province, and Chengdu, capital of Sichuan province, to less than three hours. The Tiekui Mountain Tunnel, located in Qianxi county, Guizhou province, is 5,227 meters in length. It took 44 months to complete and is one of 13 key tunnels along the railway. The new high-speed rail will be the first in the world to traverse karst landscapes such as those seen in China's Guizhou, Yunnan, and Sichuan provinces. With a total cost of about 78 billion yuan ($12.43 billion), the Chengdu-Guiyang high-speed rail runs for 632.6 kilometers. The portion running from Chengdu East Station to Leshan Station has been operational since Dec 20, 2014. 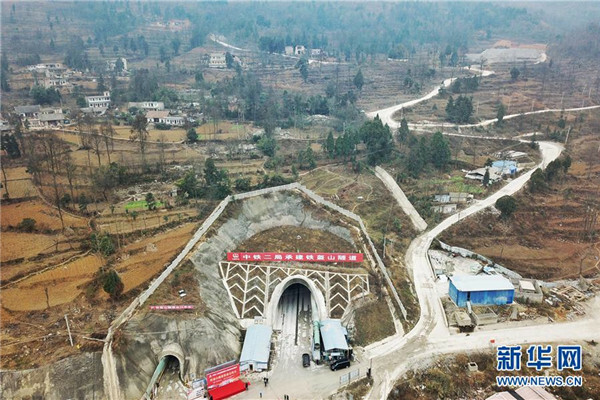 The Guizhou section of the railway will receive comprehensive testing and debugging next February to allow smooth passage for the 250 kilometer-per-hour trains. Upon completion, the rail will improve the transportation network in Southwest China and help to alleviate poverty in Southwest and Northwest China.